Didn’t have a chance to attend the 2017 SEJ Summit in Chicago? Or did you miss a presentation? No worries; we’ve got you covered. 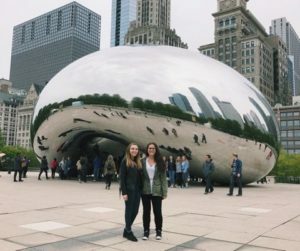 Epic Notion sent Shannon and Channing (#ShanChan) up to the windy city to attend Search Engine Journal’s SEM / SEO conference. Their mission was to divide and conquer to bring back as many helpful tidbits as possible and, boy, were they successful. Shannon and Channing caught most of the presentations and made it back to our digital marketing agency in Charlotte with an ample number of notes to share. The duo spent hours sifting through presentation slides, word documents and notebooks to narrow down their top takeaways from the SEJ Summit. Remember: search traffic = human traffic. Visitors to our websites are people, not simply another component to our data. And sometimes our content doesn’t reflect that, which can cause our search traffic numbers to dwindle. Rather than supply websites with boring, cookie cutter copy, we need to tell a story with the content we produce to capture our consumers’ attention and increase CTRs. “Smart companies don’t follow conversations, they lead them.” They tell their brand’s stories. What conversation can you lead that relates to your company’s story? How can you make it interesting? 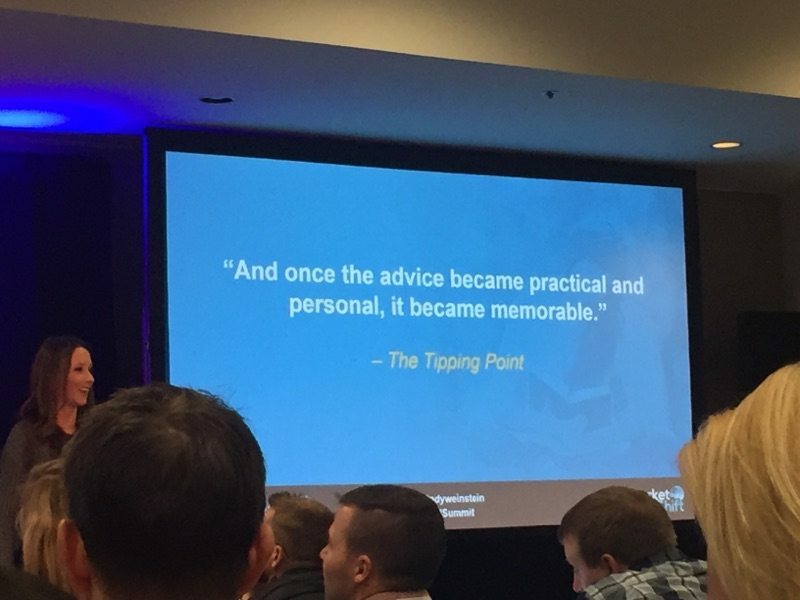 Keep in mind, your brand’s tone of voice is your “gutsiest, bravest asset.” And probably the biggest missed opportunity in content marketing is when you play it too safe. Brains > Budget. You don’t need a huge budget to create killer content. We live in a world where we’re constantly bombarded with content. Even while we’re sleeping, we’re interacting with and creating it. Work your creative muscles to develop engaging campaigns rather than simply flex your budget to produce a beautiful campaign that doesn’t tell a compelling story. Storytelling. Use testimonials to create real-life stories that enable consumers to put themselves in the character’s shoes. 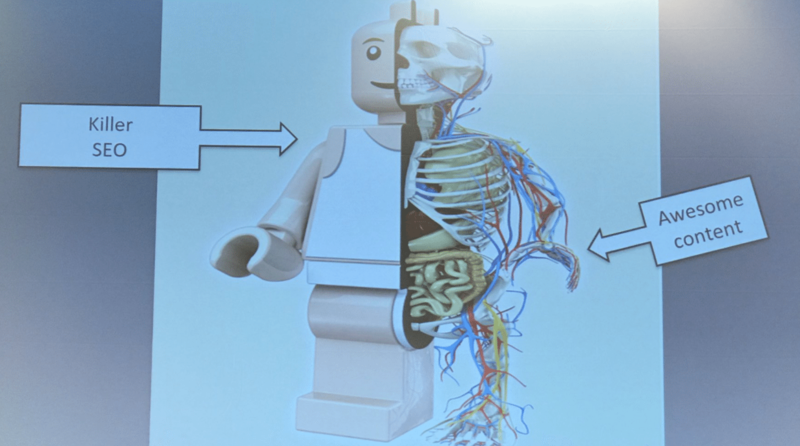 These stories can be developed to show others how to use the product, how the product helped them solve a problem or, overall, why it had an impact on their lives. When an interesting, relatable is connected to your brand, it makes your product become memorable and separates it from competitors. Inspirational. If you keep yourself open and use helpful research tools, such as Answer the Public, you can find inspiration everywhere, especially if you put your critical thinking cap on. concerns does the reader have and how can you relate to it? How will your product serve as a solution? Prioritize web security. When your website is hacked, a few things happen: 1. it prevents visitors from accessing your site; 2. it compromises both you and your users’ data; 3. it negatively affects your brand’s reputation. So, be sure to make website security a top priority. Follow Google’s Webmaster Guidelines. Pay attention to both Google’s general guidelines so your website is properly indexed, and their quality guidelines to ensure you’re not participating in any activities that could cause your site to be removed from the index. Try to consistently monitor your website for hacking attempts and remove hacked content as soon as possible. Manual actions aren’t cool. A manual action is when a site is attempting to manipulate Google Search. This behavior serves to trick search engines by cloaking and creating unnatural links (like posting a spammy link in the comment section of a blog). Knowingly practicing this behavior is unethical and completely uncool by Google’s standards – so, just don’t do it otherwise you risk having your site removed from Google’s index… and it’s just obnoxious. Pre-launch SEO plan considerations and challenges. Before you migrate a website to a new domain, put consider steps you should take to minimize SEO loss and think about possible challenges you may encounter. A few things to have in your plan: prepare redirects, internal link updates, external link updates and site updates. “Be prepared for the expected and the unexpected.” Migrating an entire site, especially one as large as ESPN’s, is a huge task. Consider the possible things that can go wrong so you’re more prepared to tackle unexpected issues. Larry Kim, WordStream / Mobile Monkey. Fewer ad spots on mobile and desktop. Google is now showing fewer ad spots on SERPs. For example, ad spots 8 – 11 have been removed on desktop results. Since there’s a more limited amount of space, Google is being much more selective in which PPCs are shown – ads with low CTRs / keywords are half as likely to be shown. 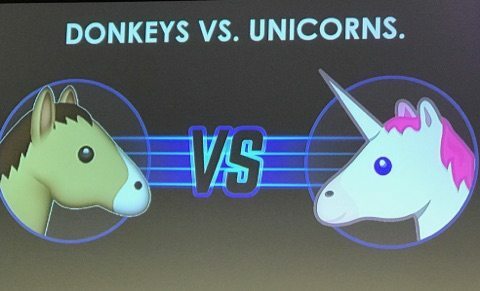 So, when creating PPCs, it’s crucial to promote unicorns in a sea of donkeys. Increase your CTRs. Develop unique expanded text ads: rather than slightly alter ads with punctuation or capitalization, write creative ads with a different message and verbiage with CTAs in sitelinks rather than titles. Track real, relevant competitors. When you think about it, anyone taking attention away from your content in a competitor. Don’t just focus on your top three or five competitors within your overall industry – also keep an eye on other brands who are creating similar products to each of yours. Segment competitors and analytics. Segment your data by campaign, feature, product, audience and market, among others. 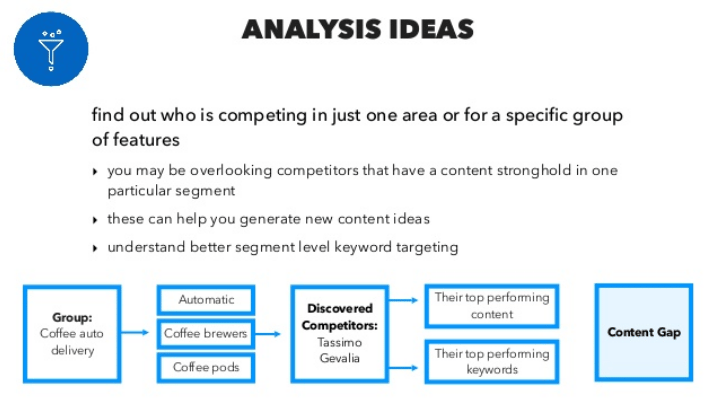 Create these lists so you can you can discover relevant competitors, view all ranking content related to a particular segment and find all of the keywords you’re battling for. Use reporting to draw insights from competitor content. Analyze data to further discover brands that are competing with your products and how they are creating content. What are they doing well with and what can you learn from them? SERP landscape continues to evolve. Search engines are doing what they can to make a user’s experience as easy as possible. And Google is continuously scouring its data to see how it can improve its search engine. Featured snippets can be great…. And not so great. These snippets are pieces of easily digestible content pieces that now appear at the top of a SERP. Their purpose is to quickly answer a user’s search query without having to visit the webpage. When a piece of your content is used as a featured snippet, you can experience positive dramatic results. However, if your content is dropped from that space, you’ll experience as equally dramatic negative results. So, prepare for both. Optimizing for featured snippets. A piece of content must rank somewhere on the first page to be considered as a potential feature. 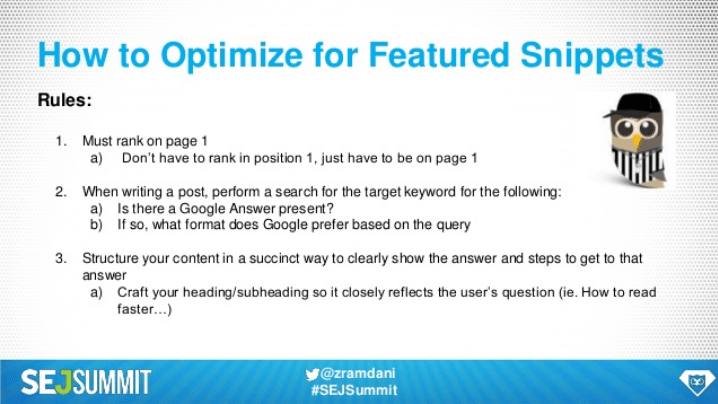 If you’re interested in trying to optimize for this opportunity, perform a search for your target keyword and see if a featured snippet is present. If so, study its format and structure your content accordingly. Know your audience. Study your data and develop personas to serve as actual representations of your customers. 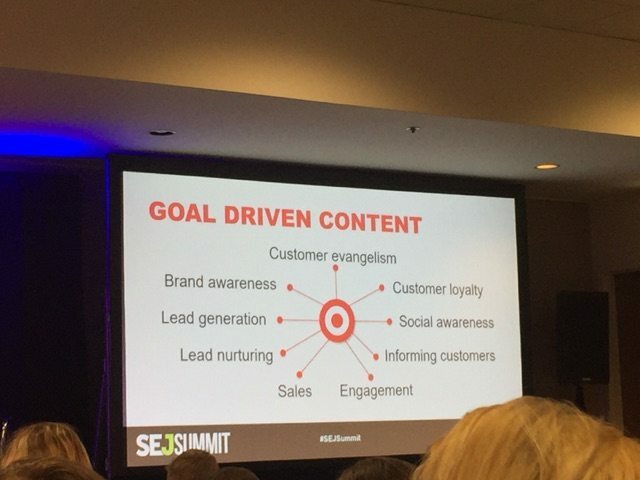 Make sure you’re sending the right message to your target consumers at the right time and you’re creating content that resonates with their interests. Set yourself up for success. Develop goals for each piece of content you plan to create. What is its purpose? What consumer segment will it target? Where will it be shared? Experiment with content types. Create different forms of content depending on the information your distributing and observe how well it performs. For example, infographics and quick videos can transform big data into digestible, quick snippets of content. Root cause identification is critical. It is so important to develop and enhance critical thinking skills. Too often, a big problem was cause by a simple mistake. If you can find this simple mistake, such an error with a Robots.txt file, you can save both time and money. Accept that searcher intent is critical to success. 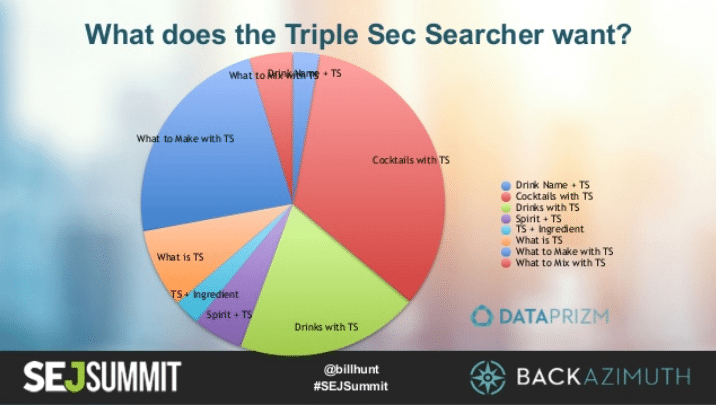 While you may be able to recite an endless list of your client’s keywords, and search queries, you need to know why people are searching for these terms, and alter your meta description to provide their answer. Maximize clickability to increase revenue. You want to minimize any sitemap errors and make sure your pages are indexed, to increase inclusion. Concentrate on mobile first. Even if you receive most of your website traffic from desktops, always focus on mobile first. Why? Desktop content is no longer used by search engines to calculate relevancy. 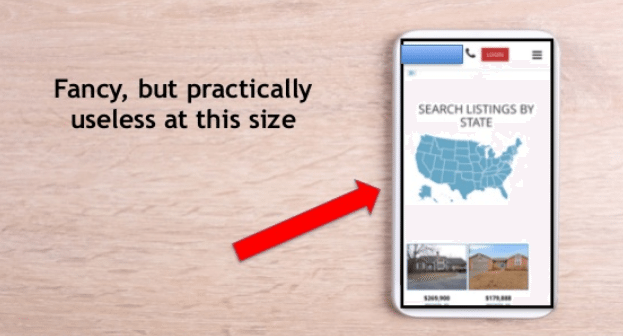 Mobile takes precedence, so double check that your metadata is mobile-friendly. Mobile content is the top content. Since mobile weighs higher on the scale, be sure to check your website’s functionality and user experience on all mobile devices. Speed is more important than ever. We live in a fast-paced world, and these days, consumers are far less willing to wait seconds for a page to load. Therefore, speed and https are crucial elements to consider. Jenny Halasz, JLH Marketing, Inc.
Focus on differences between mobile and desktop. Use comparative data to see the differences between your desktop and mobile users. You can use your data from Google Analytics to compare sessions by age group, social users, and much more. Look for opportunities to provide custom experiences. Once you establish clear differences, you can use this data to create content and different user experiences for each device to increase conversion. Influencer marketing is important. According to a study, over 80% of consumers trust peers over advertising. Clearly, these days, people are more likely to turn to a friend or relatable influencer on social media for opinions on certain products rather than simply trust a brand’s messaging. 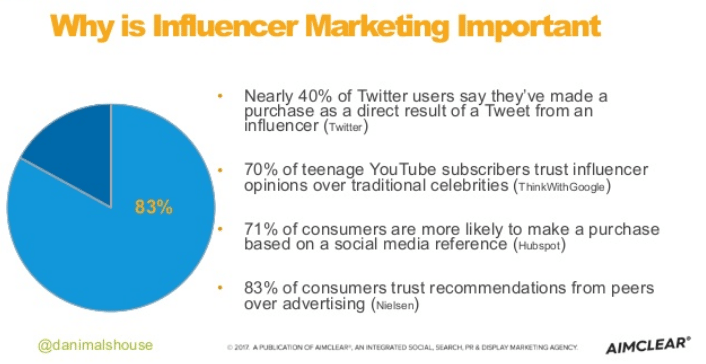 Why you should use influencer marketing. Nearly 40% of Twitter users have made a purchase based on the opinion of an influencer and many consumers trust influencer opinions over traditional celebrities. Therefore, people are more likely to use a product that has been recommended by someone they follow and relate to. Use organic and paid tactics. When connecting with influencers organically, approach your budding relationship like lead nurturing. Research and target suitable popular names who have a voice among your target market; and consider them as reporters for your brand. When using paid tactics, amplify your reach with potential influencers by using sponsored posts. Reputation is the expectation of future behavior based on past experiences. 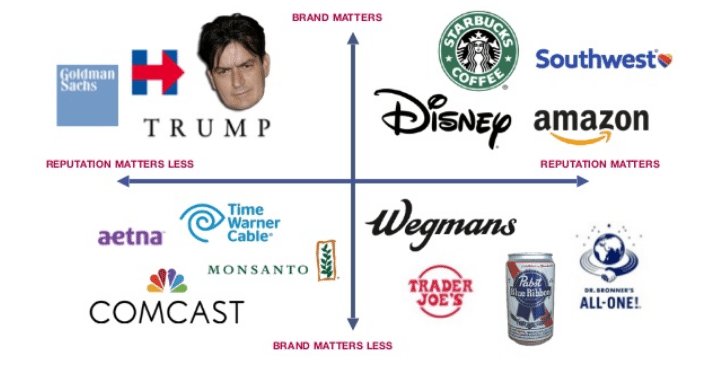 Your customers, stakeholders, employees, the media, and much more all plays a role in a brands reputation. Have a clear mission. Establishing a clear mission is essential for brand reputation. When you set a clear mission, you are providing your customers with expectations, your employees with guidelines. Understand how to communicate your message (And where). Once you’ve established your mission, you need to communicate this message through employee customer interaction- on the phone, online, email, face-to-face. You need to not only display your mission on your website, but also show it through your brand messaging, images, and throughout all your content. Connect. Gen Z and Millennials are very different from their predecessors, so, marketing toward these groups needs to be geared differently. Approximately 75% of Millennials believe need to demonstrate positive corporate responsibility by creating economic value for society by addressing needs of the people. So, some of the best ways to connect with newer generations is by demonstrating that your brand shares the values they hold dear, such as corporate giving, community involvement, ethical practices, etc. Friendship v. fanship. Members of Gen Z and Millennials tend to develop stronger ties with relatable influencers rather than typical celebrities; and 4 in 10 Millennial YouTube subscribers believe the creators of their favorite channels understand them better than their personal friends. Strive to create relatable, engaging content that forms a warmer bond between influencers and consumers; instead of targeting with the intention to form more of a fan base, foster friendships. Invest in mobile or miss out on opportunities. Today, over 50% of all web traffic is done using a mobile device; 28% of location searches result in a purchase, and 76% of location search visit a business within one day. Chatbots. The use of chatbots in relation to customer service is on the rise, and their use will only continue to grow. Gartner found that “85% of a customer’s relationship will be managed without human interaction by 2020.” But why? Chatbots make the customer service and user experience more convenient: it’s easier to message with a bot and requires less effort than contacting a real person. Also, bots use real data to supply intuitive answers based on a customer’s questions to increase conversions. Digital personal assistants. Like chatbots, DPAs make daily life easier for consumers. DPAs use collected data about their user to anticipate their needs and allow users to easily (and quickly) access the information they need without putting in much effort. According to a study by Juniper Research, by 2021, five billion digital personal assistants will be in use by consumers and about four billion of DPAs will be mobile-based. Evolve. The use of artificial intelligence is only going to increase as time progresses, so, why not begin dabbling in it now to see how you can plan to increase your conversion strategy?